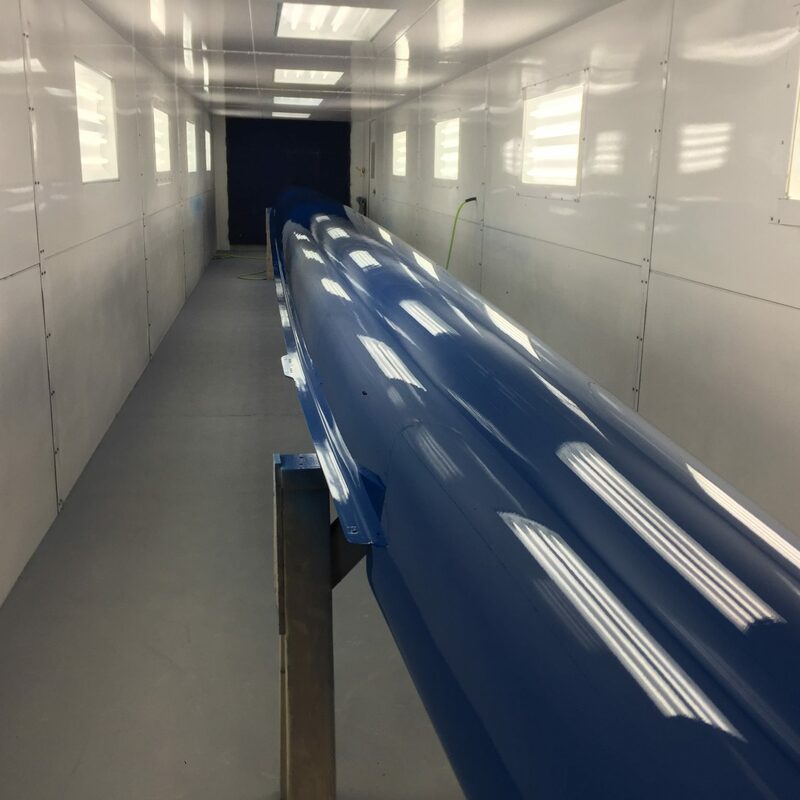 There is nothing prettier than a freshly painted boat in a paint booth. Seriously. We believe that. This boat came to us from a team in the north. They requested a new paint job of their school colors. Just take a look. We will let the shine do all the talking!